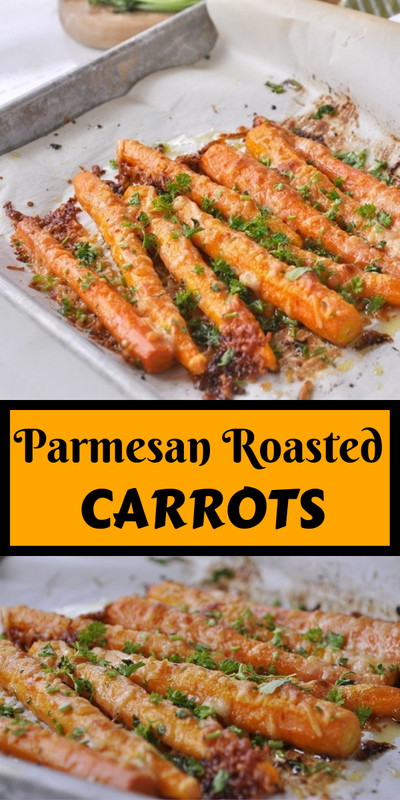 You will fall in love with these Parmesan Roasted Carrots. They are a sure fire way to get the kids and grown-ups to eat their vegetables! Mix melted butter and garlic together. Place carrots on a parchment paper lined baking sheet. Shake pan ocassionally to rotate carrots. Top with cheese and roast for another 10 minutes or until carrots reach desired doneness.